Nerd Arts » Blog Archive » Spluch: "Ancient fortress" made from motherboard! Spluch: "Ancient fortress" made from motherboard! Have trouble finding a use for those old motherboards around? Well, here’s an easy way to turn them into a work of art. 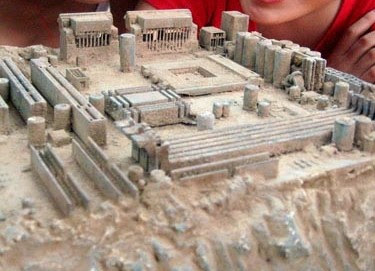 By burying the motherboard for a few months it will get this weathered look, then you can mount it, and boom you have what appears to be an ancient kingdom. Spluch: “Ancient fortress” made from motherboard!